Locals call Rio de Janeiro the Marvellous City (Cidade Maravilhosa) and there’s certainly no denying that this is one outlandishly beautiful city. Mind-boggling in size and population – almost 6 million people call Rio home – and boasting a long and illustrious history connecting it to just about every corner of the globe, this is one of the most vibrant, eclectic and captivating cities you could ever visit. 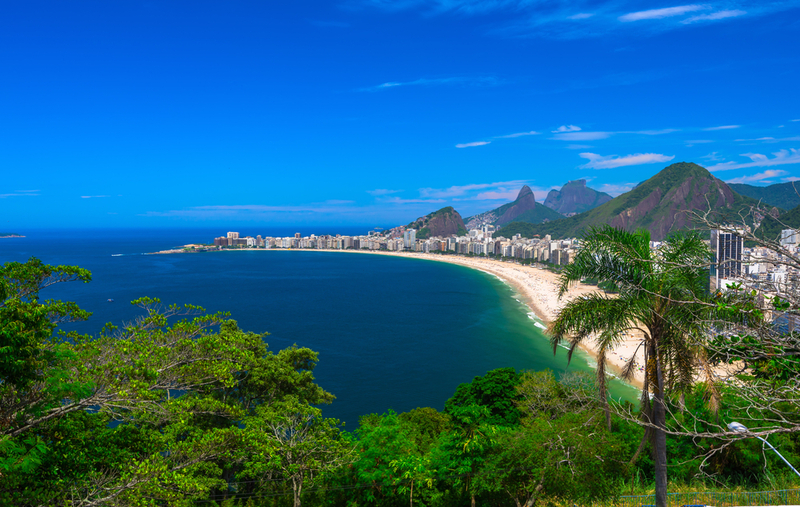 Showcasing an enviable collection of highlights, from outstanding beaches to spectacular architecture, excellent museums, superb food and a natural landscape that belies its impressive modernity, Rio de Janeiro is the feather in Brazil’s most celebrated cap. Rio is one of Latin America’s most visited cities and certainly the most famous in Brazil. So prominent is its profile that many think it is the capital of the country, an honour bestowed on Brasilia instead. But Rio doesn’t much care for titles. Rio is far too busy being fabulous for that. 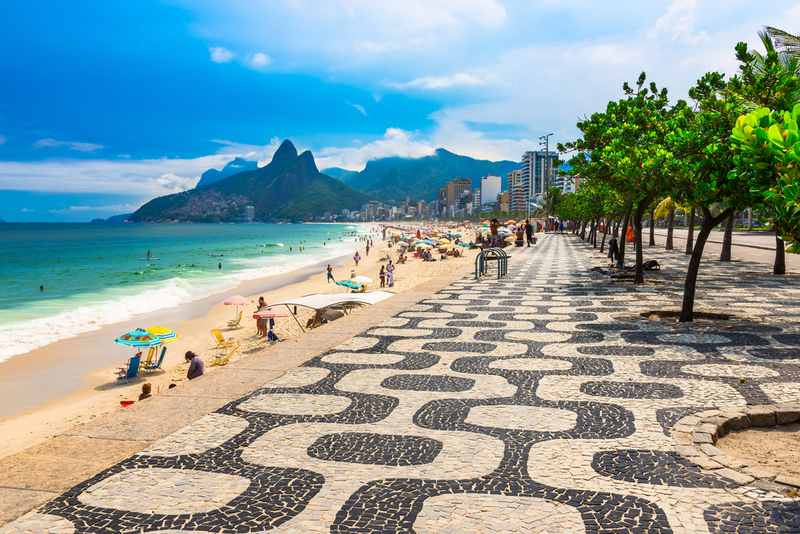 Any city boasting a 75-km long stretch of sandy shores, and 23 stellar beaches, would certainly be considered a beach vacation destination, yet Rio throws in so many unique experiences and attractions that many only ever get sand on their toes when they head to Ipanema and Copacabana to immortalize the uber-famous beaches with their cameras. There just always seems to be far too much to see and do here to waste time catching rays. Being the sprawling metropolis it is, Rio can seems daunting at first. Yet soon enough, every visitor realises that although attractions are spread about town, there are really only two areas that act as fantastic bases. From either the city centre or the southern beaches, you’ll have the best of Rio at your doorstep, with an adequate infrastructure that makes getting around infinitely easier than you might think. Centro – Rio’s historic centre is hidden behind a façade of ultra-modern skyscrapers, and reveals treasures such as the main Cathedral, the Municipal Theatre and the brilliant Museum of Fine Arts. The eclectic mix of old and new, of shining and crumbling, make the historic quarter a wonderful place to explore thoroughly and offers a memorable sensory overload; the fact that this is now the financial mecca of the city adding to the buzz. As the bulk of the city’s nightlife hubs are found in the southern beachside suburbs, the centre descends into a blissful state of calm in the evening. If this is precisely what you’re after then the centre makes a convenient place to stay. Zona Sul – The Southern Zone is home to the most popular and affluent suburbs, including Ipanema, Copacabana and Leblon. This is the springboard for visits to Sugarloaf, Christ the Redeemer statue and imposing Corcovado Mountain, as well as hosting the greatest bulk of hotels, restaurants, clubs, bars and cafés, which all use Rio’s long stretch of beach as their ultimate backdrops. For all these reasons, Zona Sul is the preferred base for most visitors to Rio. Rio has perhaps the most internationally renowned list of hot spots. You certainly would need to hail from the deepest recesses of a colossal rock not to know that a certain gargantuan statue of Christ should be among the first landmarks you ought to visit. So yes, feel free to have a read of our hot spot list linked above to tick off the city’s highlights, and when you’re ready to put the list down and really experience the essence of Rio de Janeiro, don’t miss the following unique Rio experiences. Listen, if you’ve ever dreamt (or dreaded) waltzing down the beach in a barely-there bikini, then now is the time to indulge. That goes for women too. Ipanema and Copacabana attract crowds like no statue ever could and it is here that you can experience the eclectic and totally fun side of the city. You’ll have to elbow your way to a free square of sand on a hot Sunday, and you may even suffer a bout of self-consciousness but let us tell you, everyone’s far too busy making sure they look gorgeous on Rio’s best beaches to worry about where on earth your thong-bikini has disappeared to. So lather on the sunscreen, buy a colourful Brazil flag beach towel on the promenade and join the ranks on the sandy shores, even just to say that you DID catch the rays in ol’ Rio town. 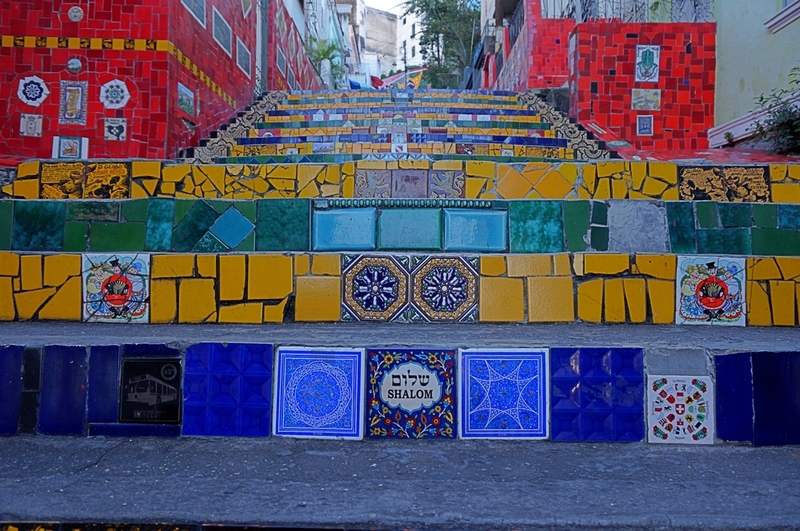 Thousands of colourful ceramic tiles from all over the world have immortalized what is arguably the most famous staircase in the whole city. You’ll need an extra-long selfie stick if you want to include yourself in Chilean artist Jorge Selaron’s masterpiece or, do what everyone else does, and just take a photo of the staircase. You can read up about the tragic 2013 death of Selaron before you go, something that will undoubtedly make your visit even more poignant. Since street art was legalised in 2015, Lapa has become a fascinating, open-air mural museum, and strolling through its iconic streets is simply delightful. If you’re not all hip and happening when you reach Rio de Janeiro, you certainly will be by the time you leave. Especially if you stock up on all the cool stuff on sale at these most famous markets, where local arts and crafts, and a host of inexpensive and quirky souvenirs, are on display. We mean that in the most exhilarating – and literal – way possible. Rio is one of South America’s best gastronomic hubs, where you can indulge in a cuisine that’s infused with Caribbean and international flavours. Rio is also a city where you can eat by the kilo! You’ll no doubt come across a ton of eateries advertising comida al kilo, whereby you load up a plate and pay for its weight irrespective of contents. Hint: ditch the potatoes and go the fish! Epicurean delights are also offered in churrascarias (BBQ restaurants which challenge even the most carnivorous visitors) and rodizios, the local equivalent of an all-you-can-eat-buffet. 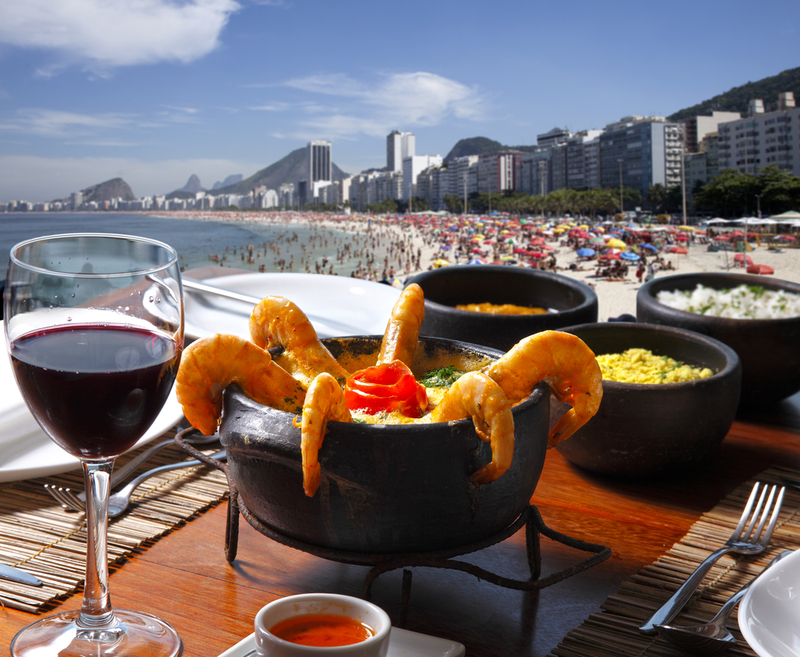 Check out all the delectable food you can feast on in Rio and do splurge on an unforgettable dinner in one of the many seaside restaurants along the beaches. Originally a quilombo village given to former slaves as reparation, Pedra do Sol was the epicentre of the slave trade back in the day, and is most revered as the birthplace of the samba in Brazil. Once upon a time, this hilltop location used to be prime waterfront before the city expanded forward. 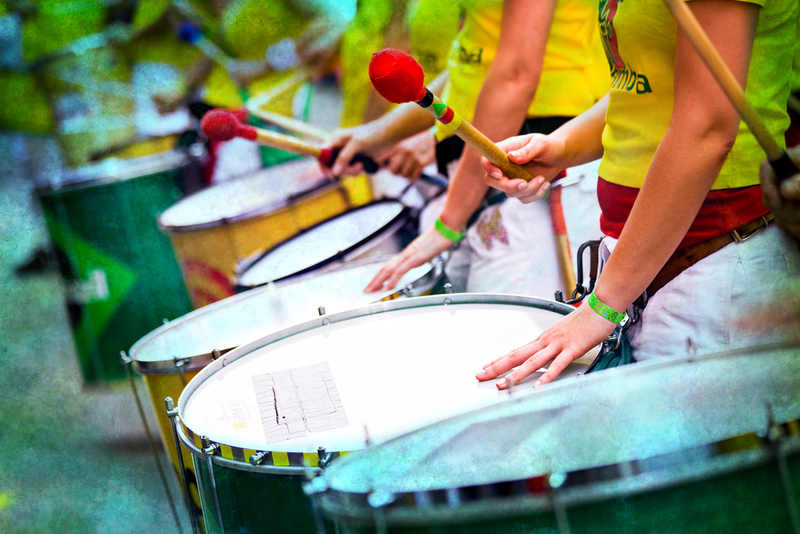 Head here after dark on Mondays and Fridays and you’ll experience one of the most authentic and titillating sides of Rio, where a heady concoction of food stalls and samba tunes fill every nook and cranny. If you can’t manage a visit to Rio during Carnival, then do make sure to include a night here, and you’ll see, smell, hear and feel the ultimate street party experience. Rio’s nightlife is the stuff of legends, yet what many legends won’t specify is that every suburb in town offers its own unique after-dark option. Botafogo is home to the city’s flamboyant gay scene whilst Ipanema is a mecca for young and restless revellers. Copacabana, as you may suspect, is where the fabulous and even more fabulous hang out, and if you’re after a more intellectual-struggling-artist party crowd, then head to Santa Theresa instead. Rio de Janeiro is as much about experiences as it is about landmarks, and we hope to have given you just a tantalising taste of all this incredible and historic city has to offer. 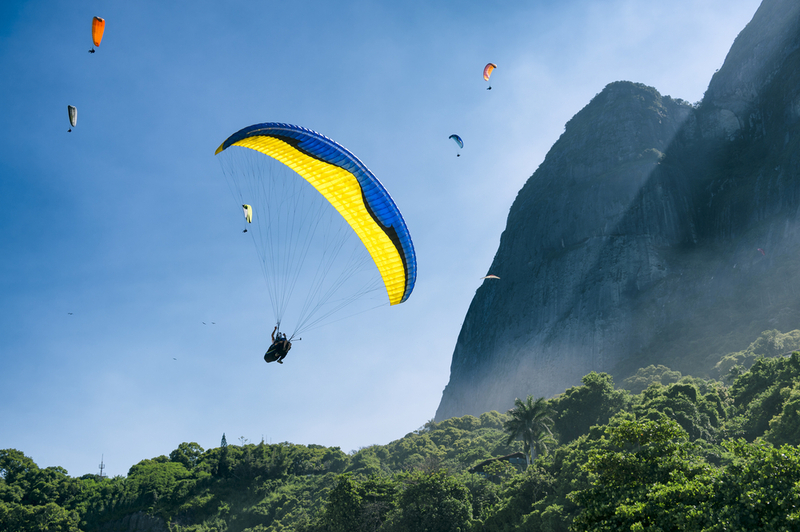 Travel to Rio, and Brazil, is generally very safe, especially if you take some safety precautions during your stay and are familiar with the most common issues which worry some visitors. 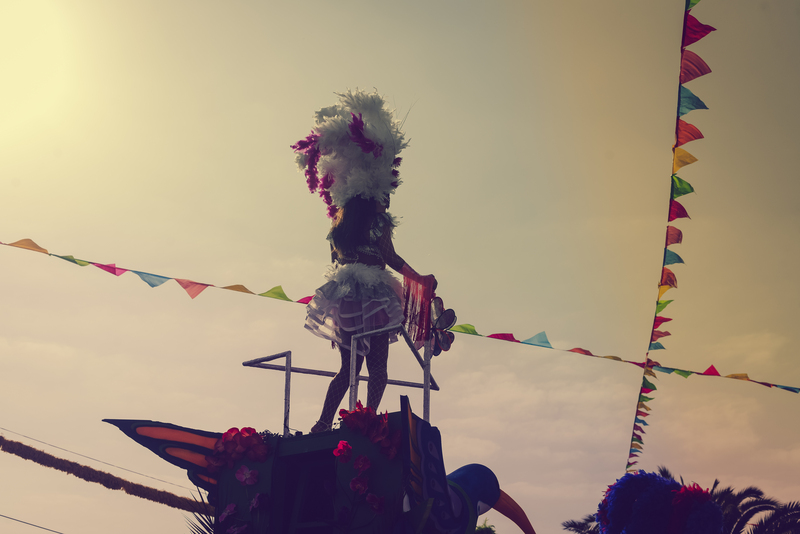 The exuberant Rio Carnival, the grandest party in the world, makes February a top month to visit the city. February falls in the heart of summer high-season, with the months between December and March offering the hottest temps, ideal for enjoying the city’s beaches and nearby seaside destinations. The Brazilian coast is a splendour in summer, with an array of islands and seaside locations that are dreamy beyond words. Having said that, what is great for Rio may not necessarily be what is great for the rest of Brazil or, indeed, the rest of South America. This is especially pertinent as Rio, in itself, is a great all-year destination. If you’re planning an extensive trip, and to include other Latin America highlights to your journey, then you may find these months clashing somewhat with other destinations. Moreover, summer in Rio can actually be excessively hot and humid, not to mention crowded. If you were to hit a beach in Rio on a sunny day in winter, for example, it could still be hot enough to swim and sunbake. The lack of rains, during the dry winter months, also make Rio – and the rest of Brazil – an absolute pleasure to explore. Check out our weather in Brazil guide for more detailed info. Rio is Brazil’s second biggest aviation hub, after Sao Paulo. The Galeao International Airport connects visitors directly to Europe via Rome, Lisbon, Paris, Frankfurt, Amsterdam and London among other main cities. From Australia and New Zealand, the best flights are via Santiago (Chile), Buenos Aires (Argentina) or Lima (Peru). This is what makes Rio, and Brazil in general, such a genial add-on to any tour of South America. Rio is both a phenomenal destination in its own right and a fantastic base from where to explore more of Brazil and neighbouring South American countries. 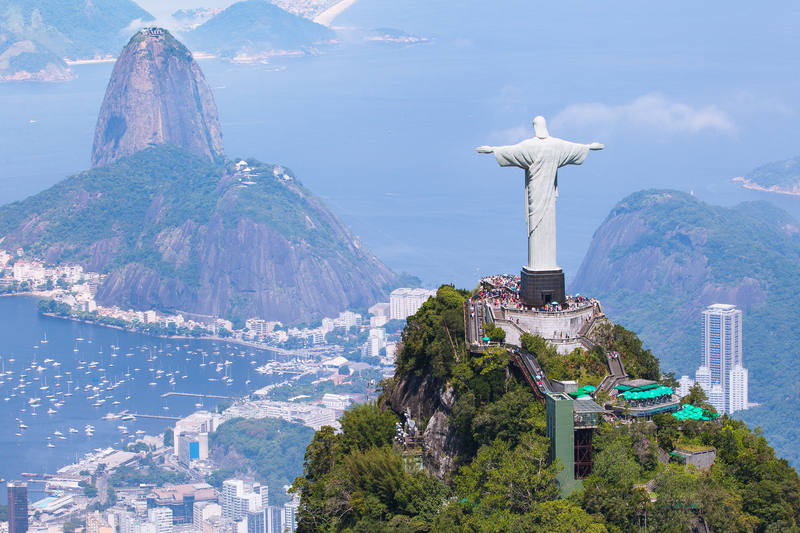 Have a look at all the tour options on offer which either start or end in Rio, and you’ll soon get an idea of just how conveniently located the city is. From overland tours which reach Buenos Aires, to unforgettable Amazon rainforest experiences and side trips to soak up the breathtaking spectacle of Iguassu Falls, the scope of travels from Rio is extensive. Contact us for more info.